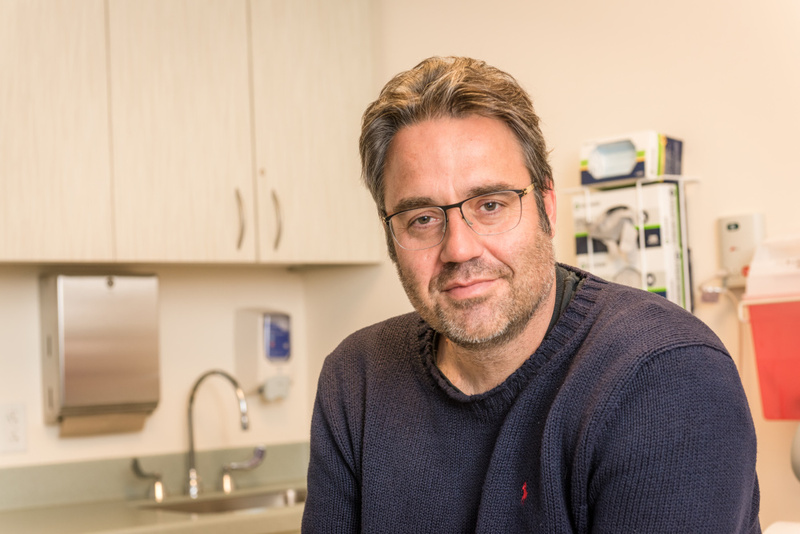 In the fall of 2015, at the age of 44 – young for a person to be diagnosed with pancreatic cancer – Doron Broman was stunned to learn he had a large tumor on his pancreas that had metastasized to the liver. Facing only months to live, Broman would find himself in the right place at the right time. Doron Broman was diagnosed with metastatic pancreatic cancer at 44. After doing research online, the Miami-based real estate developer, who has family in Boston, decided on Dana-Farber for treatment. 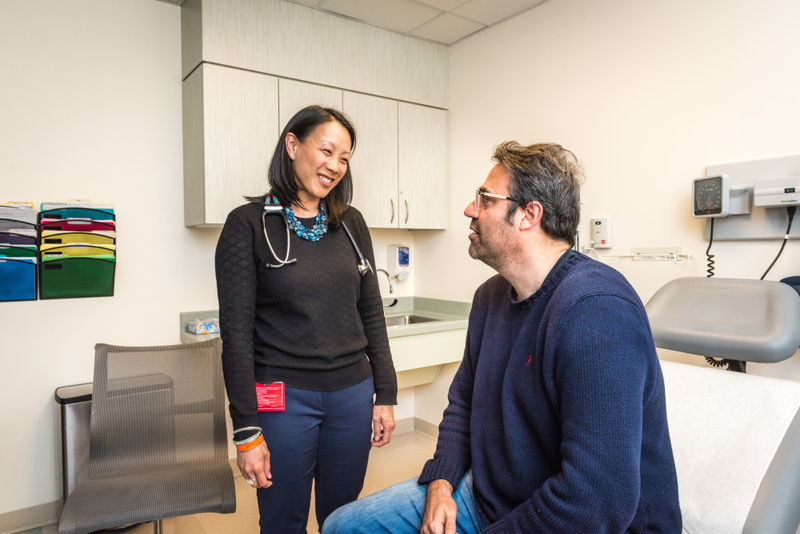 His doctor, Kimmie Ng, MD, MPH, director of clinical research in the Gastrointestinal Cancer Treatment Center, recommended FOLFIRINOX, the strongest combination chemotherapy regimen for pancreatic cancer, which is notoriously difficult to treat. Broman flew back and forth from Miami to Boston every two weeks for treatment. To everyone’s surprise, in short order, the malignant lesions in his pancreas and liver began to shrink rapidly. Oncologists are on the lookout for unusual molecular alterations or mutations in the DNA code of a tumor when they see a patient improve dramatically on a cancer drug that usually has modest or no benefit in other individuals with the disease. These kinds of patients are called “exceptional responders.” In the era of precision medicine, sequencing the DNA of an exceptional responder’s cancer may pinpoint a rare mutation that makes the patient’s tumor unusually sensitive to a particular drug. Broman’s pancreatic cancer responded dramatically to treatment recommended by Kimmie Ng, MD. Broman fortuitously arrived at Dana-Farber for treatment just after Ng and her colleagues had begun a new research protocol at the Hale Family Center for Pancreatic Cancer under which patients could undergo extra biopsies to get genetic material for precision medicine testing. Broman gave his consent. Whole-exome sequencing of his tumor DNA revealed a mutation in the BRCA2 gene, which, when inherited by a woman, greatly increases her risk of breast and ovarian cancer. But Broman hadn’t inherited the BRCA2 mutation – it just randomly occurred in his pancreatic cells at some point during his life. A mutation in BRCA2 interferes with cells’ ability to repair damage to their DNA code, which can lead to the cells self-destructing. Cancer cells with BRCA2 mutations are especially sensitive to DNA-damaging platinum-based chemotherapy drugs, which are one of the components of the FOLFIRINOX regimen. That could explain why Broman’s cancer was beaten back so successfully. After 13 cycles of treatment with FOLFIRINOX, which caused side effects like hair loss and neuropathy, Broman was doing so well that his medical team decided to switch him to a targeted drug, olaparib (Lynparza), known as a PARP inhibitor, which also works by hampering DNA damage repair. So, Broman stopped the FOLFIRINOX and now takes 12 olaparib pills every day, which he says cause no side effects. After six months on his new regimen, MRI and CT scans showed no cancer recurrence, and levels of a blood biomarker for pancreatic cancer remained in normal limits. Ng says the plan is for him to continue taking olaparib indefinitely for as long as it seems to be keeping the cancer under control with minimal side effects. Learn more about pancreatic cancer treatment at Dana-Farber.